This week they did well and the series surprises us with a good episode. Warning Signs contains surprises, action, dead people who walk and above all, a great script and a fantastic ending. The idea of ​​ending the episode with those who would, logically, Rick’s successors, have been brilliant. 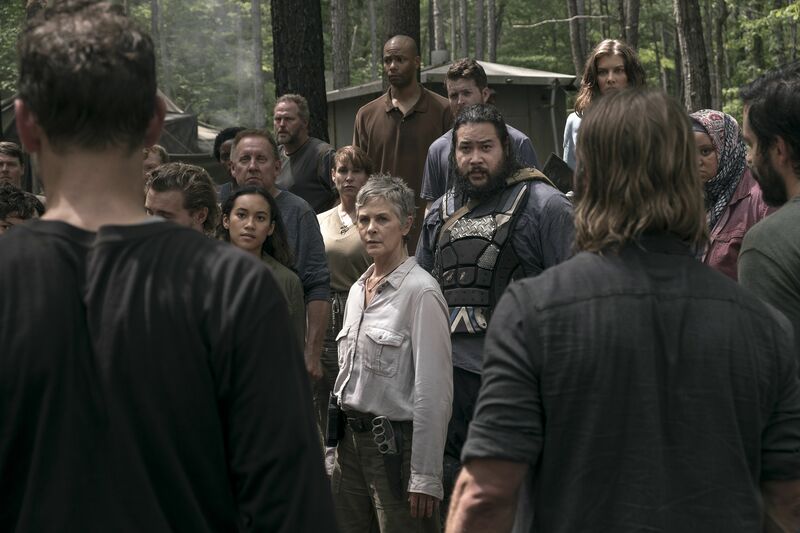 We have already seen the alarm signals of the rebellion, we know that the great schism is coming on us and for some reason, the enemies that were friends before are much more afraid than The Governor and Negan together. There were warning signs on the ground, yes, also some signs marking things … but the sign that gives name to the episode are not the physical signs, but the clear sign that Rick’s reign is about to collapse and that they will be his best friends who stab him in the back in the not too distant future. And this, that the good friends, the family, that we had as protagonist is divided and conspire against the other part is a marvel. We saw coming that this would happen, but even without the surprise it is delicious to taste it. It has not been suddenly, for once they have done well, they have been gradual and motivated. We know Rick’s reasons, we understand Maggie’s discontent. When she looks at her son she remembers Glenn, we remember the pizza boy every time we see Maggie, or Rick … or anyone. When Rick looks at the saviors, think about the future Carl wanted. The spectators also loved Carl and sympathized with his optimism and hope. We can empathize with both factions. The writers have not taken shortcuts this time, they have simmering discontent. Rick has forced the survivors to live with the murderers of their loved ones and this could not go well, we all knew that it can not go well. The story has been shaping up to the point where most of the viewers understand the women of OceanSide and the decision of Maggie and Daryl to look the other way. 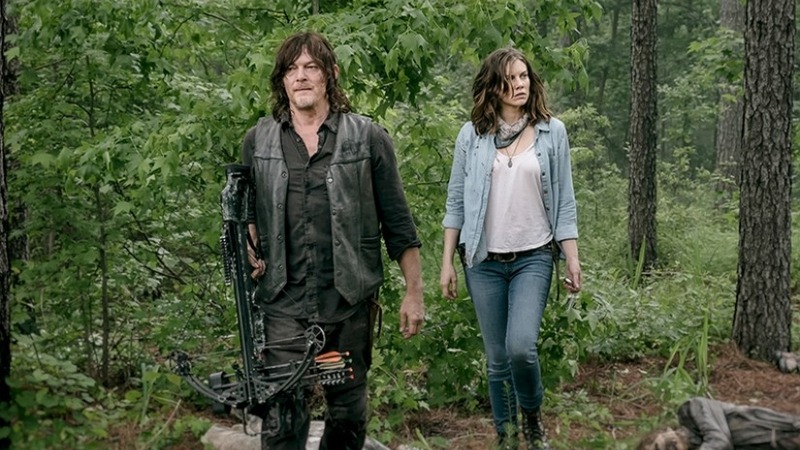 For a moment I feared that Maggie and Daryl will avoid the execution of Arat, which would not only have been inconsistent with the feelings of these two characters, but also a trash scene instead of the magnificent sequence we have seen. Maybe that’s why I’m so satisfied with this episode, because seeing how two of “the good guys” look the other way before a few murders and position themselves with those who break the rules has been great. Especially if this is the little push they needed to become mutineers. I think Daryl has been keeping his position clear from the first moment, his relationship with Rick is already quite deteriorated and the three episodes this season have enhanced that feeling. However, Maggie did not have everything so clear: Michonne convinces her to share her food with the saviors, Gregory motivates her to take the revenge she needed, but La Viuda did not finish having her position clear. In this episode he confesses to Daryl that he would like to look to the future as Rick does;then he feels guilty for encouraging the women of Oceanside to take justice into his own hand … although finally, when he discovers what Arat did, he understands that the saviors do not deserve to be forgiven either by the death of Bea’s husband or brother of Cyndie, or of all the innocent men and women murdered so that the Mafia clan of Simon commanded by Negan would benefit. 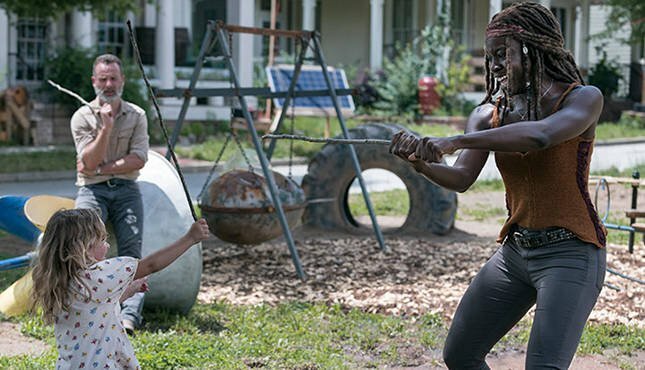 For the rest: Rick and Michonne want to have a child, which would be interesting for both … but it’s hard to believe that they happily choose to increase the family when they live in such complicated circumstances and when both have lost their children because of the walkers. The intervention of Zach MacGowan has been shorter than expected, but at least it has served as a spark that ignites one of the most exciting plots of the series … or so it seems. As a subplot, the story of Jadis brings much more than meets the eye and we are about to discover who are the A subjects and who the B and what the helicopter types want them for. I made a theory about it right here.